A professional cyclist may have the best cycling skills, but if he is riding at 30mph in the midst of a packed group of cyclists, then the slightest error often committed by someone else can lead to a severe injury. During cycling, the legs are constrained to the pedal, and the cyclist has to use the upper limb to cushion in case of a fall. Thus, it is the upper body which is usually involved in overuse or traumatic injuries. These injuries can be in the shoulder region, hands, wrist, elbows and sometimes even head which are extremely dangerous. The upper limbs; hand, wrist, and elbow need to have flexibility for maneuvering the bicycle. Hence, protective gear for them is not practical. However, the head or facial injuries can be avoided by using a proper helmet. Major fractures occur only during high-speed falls, and the most classic cases are fractures in the collarbone. This type of fracture happens when the cyclist tumbles over the handlebars, and as a result, the force on his shoulders and arms leads to a breakage in the collarbone. Gripping the handlebars and use of brake or gear pedals can aggravate tendinitis which typically involves the flexor tendons. Prolonged hyperextension posture of the wrist while cycling can lead to Carpal tunnel syndrome which is a compression neuropathy of the median nerve in the wrist. This condition requires check up from a surgeon or a neurologist. Another chronic condition is tennis elbow. This condition can be treated by experts painlessly. Another condition due to hand position can be Osteoarthritis. This typically happens at the base of the thumb. With Tour de France coming up, here is some advice on preventing injuries while cycling. The first and foremost advice to the cyclist is that they should ensure that their bike is in a perfect condition. You may end up hurting your hamstring or muscle at the back of your thigh if your saddle is too low and this can have an adverse effect of tightening of your knees and back. Even an incorrect handlebar position can cause pain. So, it is better to take professional help for a professional event. It is always beneficial to maintain a good amount of flexibility. Stretching your lower legs, back, and, hamstrings are good ways to maintain flexibility. 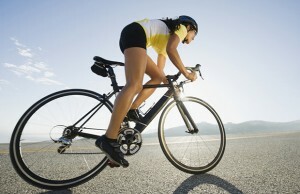 Typically cyclist ends up with tightness in hamstrings or a soft tissue pull. Therefore, it is better to warm up before you begin cycling and take enough rest post the ride. Maintaining good strength in your legs, upper body and back is also critical. Different types of strength building exercise particularly for these areas off the bike will help you in preventing injuries. Cycling involves repetition of the same action again and again for a long time. Hence, it is necessary that you do some cross training. This will help in releasing the tightness that might develop because of sustained and repetitive cycling action. Cross-training activities such as weights or running would help you in improving your performance. Last but not the least, get a good massage. This will rejuvenate you and help in reducing muscle soreness, tension and will help to prevent any cycling injuries. A timely and precise treatment to any injury or condition can help the cyclist to return to the sport and dominate. To get help with your cycling and any injuries you might be carrying, call one of our practices now.